Ally had spent another frustrating day at her computer, almost in tears over her inability to figure out what she wanted to do. The ideas she came up with were farfetched, she couldn’t invent any kind of motivation for what her characters needed to do and her head ached from going around in plot circles. Then her doorbell rang. Through the peephole she saw Jack leaning against the door frame. Her heart slammed to a stop. She opened the door. My God, he looked like he’d been beat up. He threw himself down onto her couch and told her what had happened. He fell back against the cushions of the sofa, closed his eyes, covered his face with his hands. They were both silent for a long time. That’s what he wanted ever since he’d gotten there - to leave. Well. Ally’s heart began a slow descent. Ally nodded and jumped to her feet. She went over to her small bar and opened it, revealing rows and rows of bottles. Ally pulled two glasses from another cupboard and set them on top of the bar. Jack poured golden liquid into each glass, recapped the bottle and set it down. Then he handed a glass to Ally and took one himself and they carried them back to the couch. Again they were silent, processing the evening’s astonishing turn of events. Ally drew a long breath into her lungs. She had been right about Carter - he didn’t deserve Jack’s loyalty. But she didn’t feel good about it. On the contrary, she felt crappy seeing Jack have his friendship trashed, all his memories of Carter and the experiences they’d shared now tainted. She knew how he felt, because she’d been through the same thing when she’d found Carter cheating on her. He met her eyes. She could see the pain and confusion in them and ached for him. 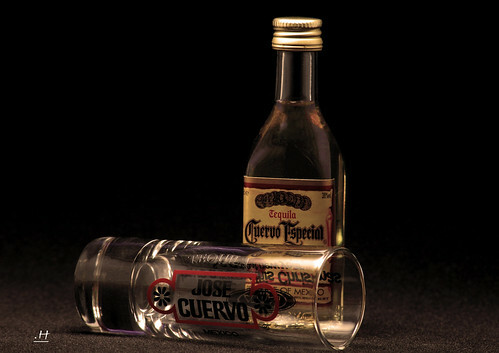 She got up and went and got the bottle of tequila, splashed more into their glasses and set it on the table between them. She leaned back against the couch, sitting beside Jack, and they both lifted their feet to the coffee table, holding their drinks. “You know what’s the worst thing?” he said, swirling the amber liquid in his glass. They continued naming Carter the worst, most imaginative insults they could come up with until they both started laughing. Jack reached for the bottle again and refilled their glasses, leaning back with a sigh and a smile. “Are you mad at Brittany?” Ally asked. “Yeah.” He grimaced. “And think how different Carter’s life would have been. You and he would likely never have gotten together.” The curve of his lips looked endearingly satisfied at that thought. “Probably not.” And how different would things have been for her and Jack? Would they have figured out their feelings for each other sooner? But what if they had? They’d been awfully young to know who they wanted to spend the rest of their lives with. Yikes. Where the hell did that thought come from? There was no way she and Jack had any kind of future. She had to just wash those thoughts right out of her slightly drunk and fuzzy head. Jack groaned. “No kidding. And, thank God we didn’t tell Sarah yet. Oh man.” They were silent again for a moment.